A Student Schengen Visa is an entry permit to the Schengen Zone, granted to third-country nationals wishing to enter and remain for short-stays in any of the member states, under the purpose of studying. 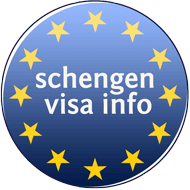 This visa permits its holder to remain in the Schengen territory for a maximum of 3 months. If your study or training course lasts longer than that, you should apply for a Long-Stay Study Visa at the embassy of the respective country. Only the nationals coming from third countries that have not signed a visa-free agreement with the Schengen Area member states are in need of a Student Schengen Visa. What Documents are Required When Applying for a Student Schengen Visa? Two visa application forms. Fully completed, with correct and honest answers. Print it and sign the form at the end. Two identical photos. Taken within the last three months according to the Schengen visa photo requirements. Valid passport. Issued within the last 10 years with validity of at least 3 months after the end of the planned journey. A copy of passport’s biometric data. Previous passports. Tied together with a rubber band. Do not staple them! Proof of residency. Some sort of document issued by the country where you are applying from as a proof that you are a citizen or resident of that country. Roundtrip reservation or itinerary. Specifying the dates and flight numbers of entry and exit from the Schengen area. Here you can learn more about how to book a flight reservation for eu visa application. Travel medical insurance. A document issued by your Europe health insurer, confirming you have insurance for the whole Schengen territory, throughout your whole stay with coverage of €30,000 for emergency health situations. Dormitory contract. Signed between you and an official of a dormitory in the country where you will be staying. Rent Agreement. A contract with a property owner in this Schengen state, specifying the address and other information details about the facility and landlord. Letter of Invitation. A letter written by a resident in the country you are applying to enter, confirming they are willing to take you in their home throughout the period you will be there. Letter of acceptance at an EU University/College/School. A recent, official and signed letter stating your name/type of studies/length of studies/part of a European program if applicable/number of hours per week. Proof of academic qualifications. Diploma, academic records, attestation of the application for equivalence or decision / dispatch of equivalence. Scholarship. Original attestation of an official scholarship of minimum 631€/month. Bank account statement. Showing your bank balance for the last three months. Proof of paid visa fee. Additional Documents required for Minors. An extract of the minor’s birth certificate. An identity document bearing the parents’ signature (one document for each parent). A declaration of consent from both parents, stating that the minor can travel. If relevant: a court judgement stating which parent has been allocated parental responsibility for the minor. If relevant: a declaration from the minor’s school consenting to his/her absence. You should submit your Student Schengen Visa Application at the responsible Embassy / Consulate / VAC of your main Schengen destination in your country of residence. To figure that out check the rules on How to Choose the Right Embassy/Consulate/VAC to Submit the Student Visa Application. Check if you need a Student Schengen Visa. Figure out where you need to apply. Figure out the best time to submit your visa application. Fill the application form for a short-stay visa. Collect the required documents for a Student Schengen Visa. Pay the student visa fee. When to Apply for a Student Schengen Visa? The earliest: three months prior to your trip towards Schengen. The latest: 15 days prior to your trip. However, you are highly recommended to apply about 4 weeks prior to your departure date, since this way you will give to the embassy enough time for processing your visa. How Long Does it Take to Get a Student Schengen visa? The legal processing time for a Student Schengen visa is 15 calendar days. In some cases, you can receive an answer within even shorter periods. However, in extraordinary cases this period may also extend from 30 to 60 days. How Long is the Student Schengen Visa valid for? The Validity of a Student Schengen Visa is up to three months within a six-month period. When you get the passport with the visa in it, check the visa sticker information, to make sure about the validity period and the duration of permitted stay in the Schengen Area. Can I extend a Student Schengen Visa? A student Schengen Visa can be extended only in some very specific cases as late entry, humanitarian reasons, force majeure or important personal reasons. For more information, read How to Extend a Schengen Visa. However, if you wish to extend your Student Schengen Visa with the purpose of continuing your studies in the Schengen State where you are in, that is not possible. Instead, you will have to return to your home country / country of residence and apply from there for a long-stay study visa. Can I work under a Student Schengen Visa in Europe? No, you cannot. Some long-stay Study Visas permit students to work for a limited number of hours per week. However, no Schengen member state allows you to get a job under a Student Schengen Visa. Can I bring my family in Europe with a Student Schengen Visa? Your family members can apply for a Tourist Visa or a visa for visiting Family Members. However, you cannot bring them over under any family reunion visa, in any Schengen country. Is there any age limit to apply for a Student Schengen Visa? There is no age limit for those who wish to obtain a Schengen visa to attend a training or study course in the Schengen Zone.